The Kukenam Ruggedized is the toughest Tepui roof top tent on the market. It is perfect for 4x4 trailers and tough OffRoad rigs. Now available in Haze Grey and Expedition Orange!!! The Tepui Tents Kukenam Ruggedized is similar to the XL with a smaller footprint and is one of the toughest NEW Roof Top Tents on the market. The heavy weight dual stitched rip-stop fabric of the main body (360g compared to 260g) is just where we started. 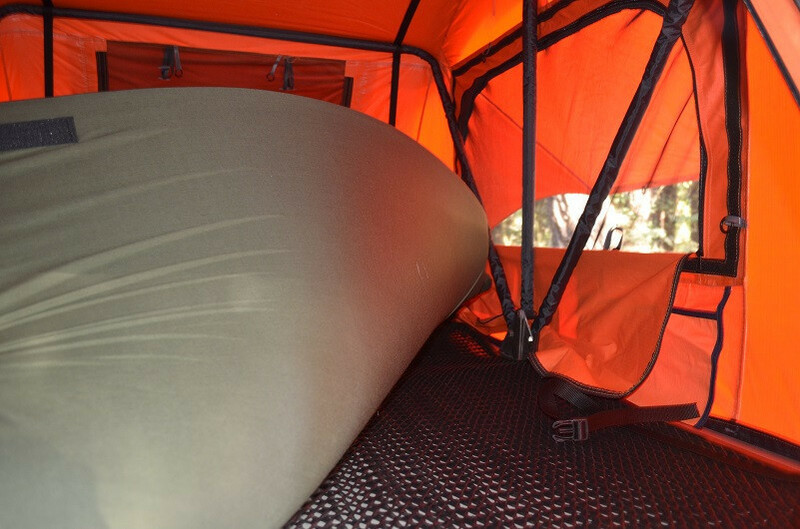 Tepui added raw aluminum diamond plate base panels so the underside of the tent will hold up to dings from rocks, branches, and whatever else the trail throws at it. Then add heavy duty hinges, anti-condensation mats, heavier gauge wrapped internal frame, dual rain fly support rods, tie down anchor points and a 30lb density mattress and you have a Ruggedized beast of a Tent. 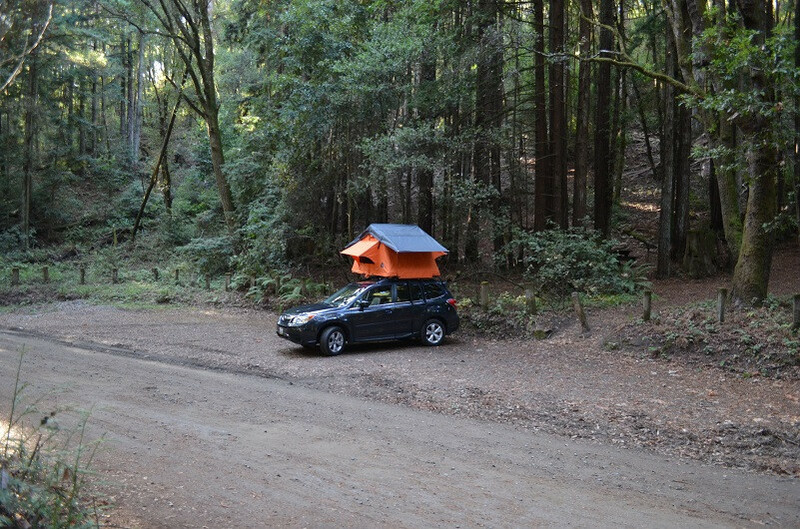 The Tepui Tents Ruggedized Roof Top Tent Model is available is Expedition Orange and Haze Grey. Whether you are rock climbing, mountain biking, day hiking to nearby summits the most important thing is finding base camp. 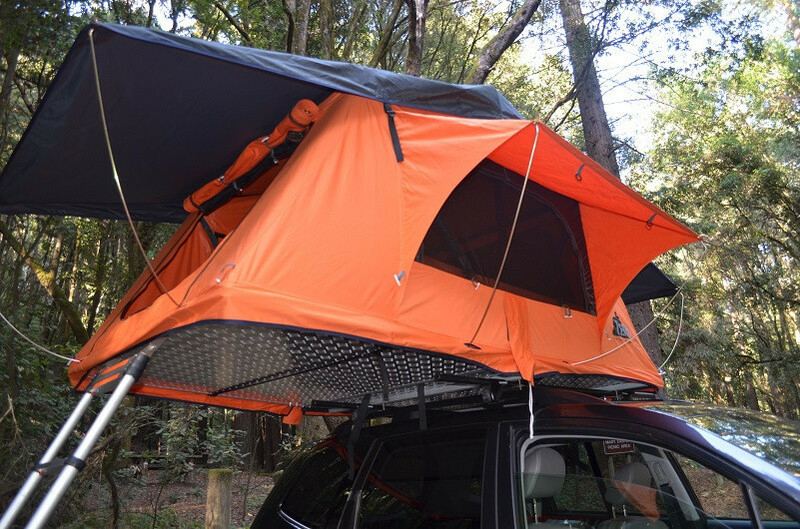 With the NEW Expedition Orange roof top tent, you'll spot your Tepui easily and sleep soundly knowing you are in the toughest Tepui out there. Mattress: High Density 2-1/2" foam with cotton cover. The Annex is a must have if you want to take friends along for the journey. The Tepui Tents Annex has multiple uses not only does it provide the additional space or accommodations for additional people. It can also be used as a changing room or the site to keep your portable toilet. The Power Pot charges any USB Device An Awesome Gift for anyone! On Sale & Free Shipping!